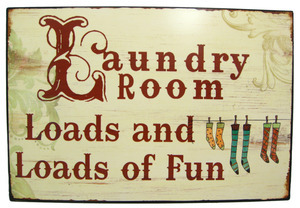 I have this sign hanging up in my laundry room. I don't know if I actually feel that way about laundry but any motivation helps. The girls informed me that we were out of laundry soap shortly after I had gotten back from my shopping trip in town. I had bought the supplies to make my own soap awhile back and figured this was the perfect opportunity to give it a try. I decided to use a dry soap recipe even though we usually use liquid soap. I may try that another time. It is very easy to do. You use three ingredients. Start with grating the soap with the finest part of the grater. Use 1-2 Tablespoons with each load. I will try it and see how well it works. I have read good reviews from others who had used the homemade soaps. I am just glad that I had the supplies on hand. The last place I wanted to go is to the store and deal with the Holiday Rush, again. I not one that likes Borax but I do use super washing Arm & Hammer baking soda a lot in my wash. Thanks for sharing on simple and toxic free recipe. Visiting from Tuesday with a Twist Link up.